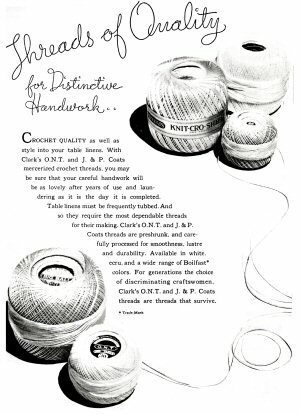 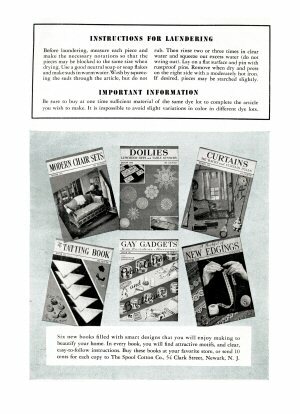 1938, The Spool Cotton Company. 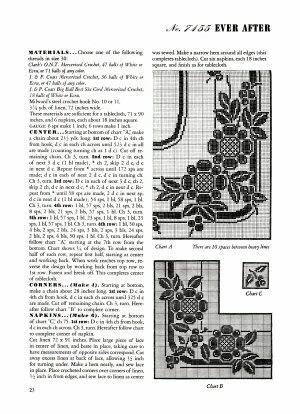 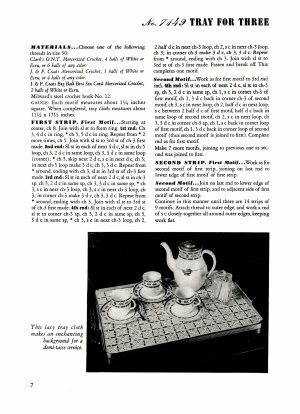 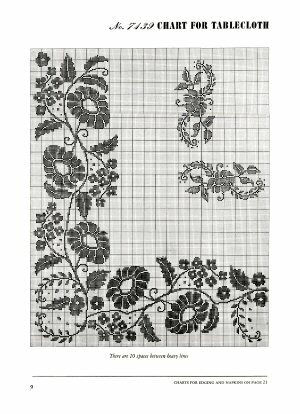 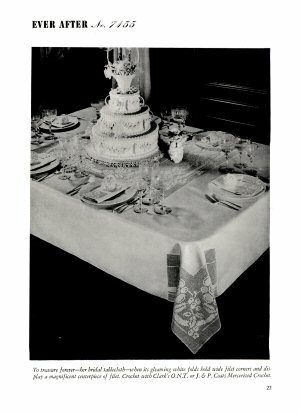 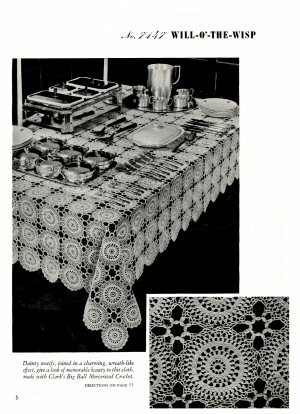 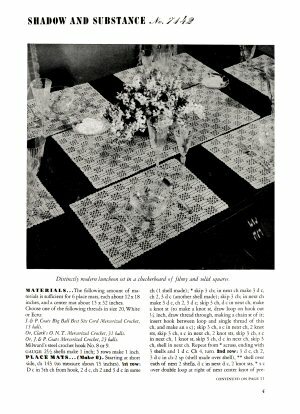 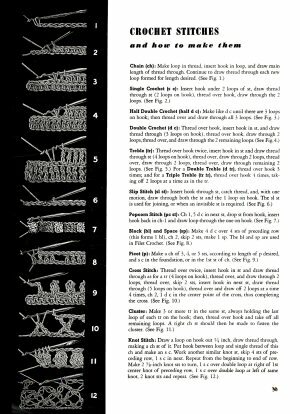 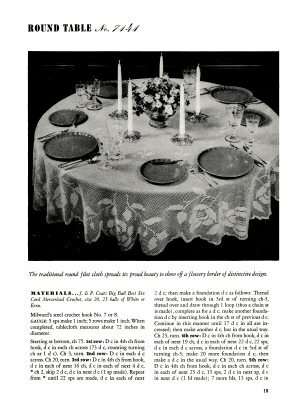 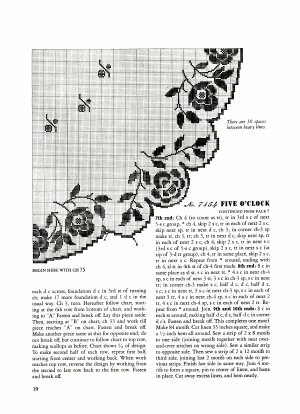 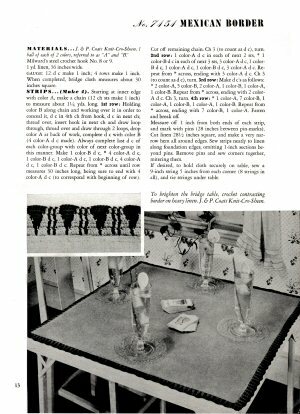 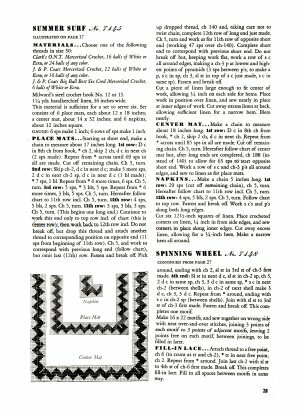 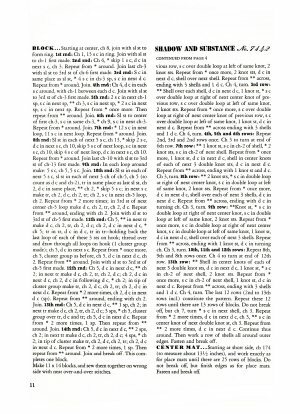 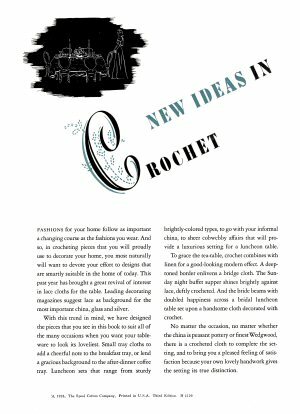 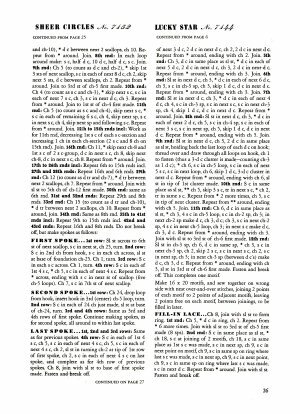 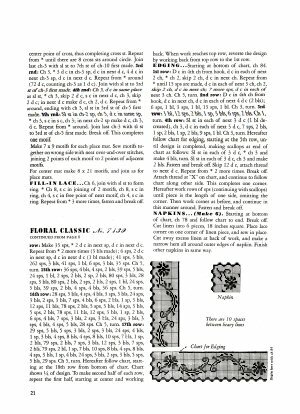 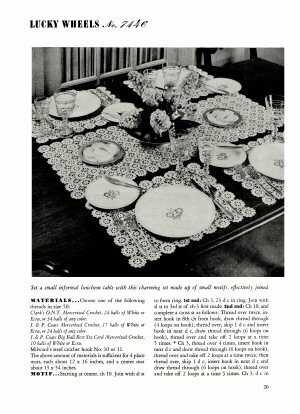 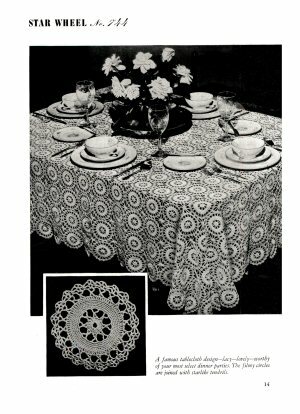 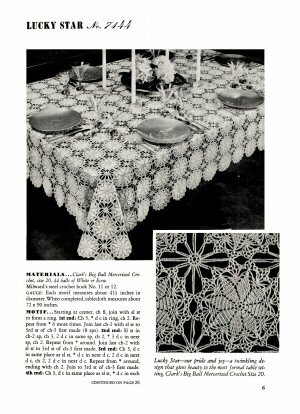 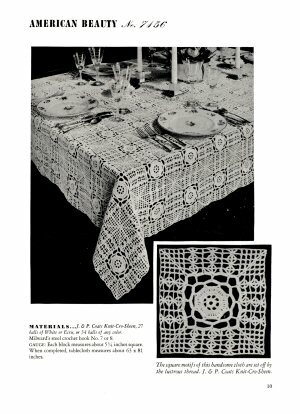 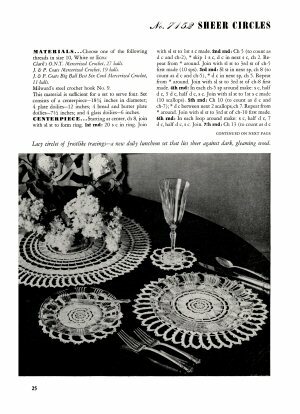 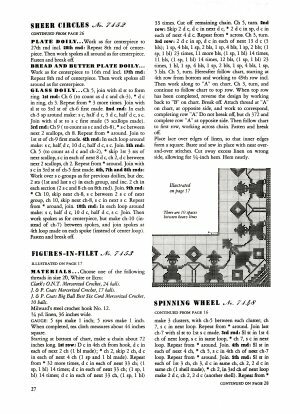 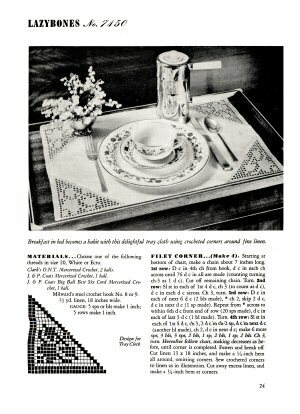 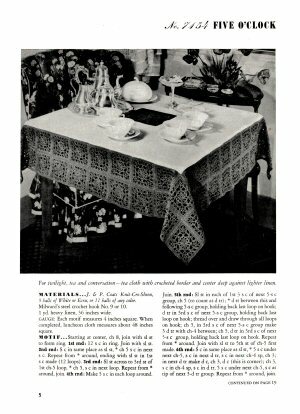 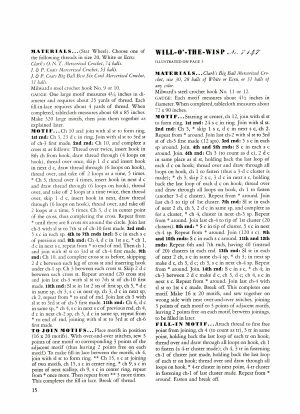 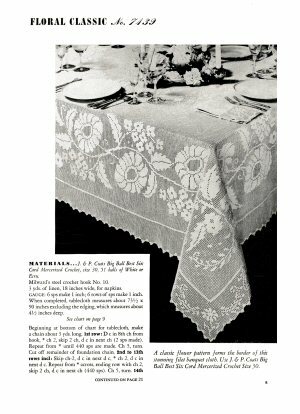 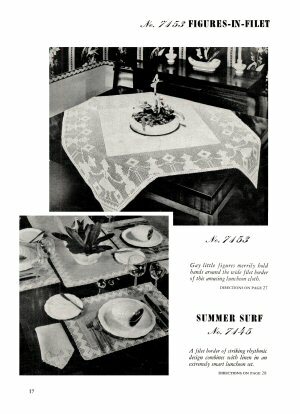 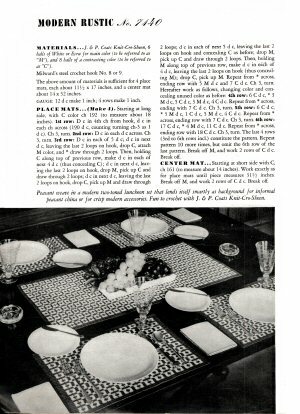 32 pages booklet of crocheted table linen designs. 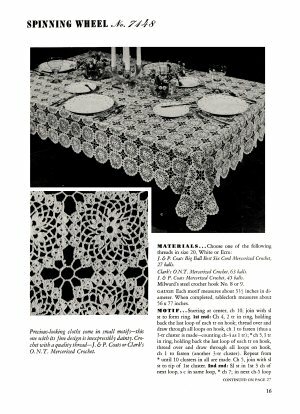 Includes linens pieced from small motifs, plus larger one-piece cloths, plus edgings, corners, placemats and doilies and a large floral filet table spread. 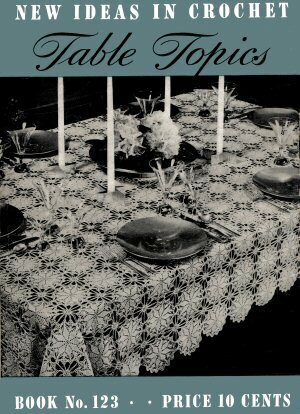 Donated by Brenda Weaver, edited by Sytske Wijnsma.